Professional Driving Instructors - Learn. Drive. Pass! Crewe Driving School offers a variety of lesson durations tailored for the pupil. One hour, one and a half hour, and two hour lessons. We also discount for block bookings. Block bookings will be needed for the Intensive/Semi Intensive courses but are available to all. 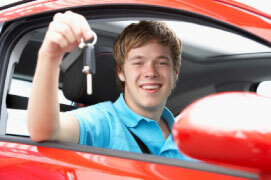 We offer a wide range of fully structured driving courses to meet your needs.